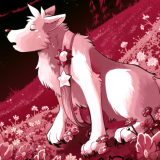 As of today, Slightly Damned has been going strong for 15 years. Thank you so much, everybody! I wrote a little retrospective on what it's been like to work on the comic for all these years. For one week only, I've made a pack of 60+ wallpapers available on Gumroad for just $1+! It's been a while since the following information has been on the front page, so I've updated and am putting it here so it's all visible again. If you know of any more I would like to share, just let me know via email or PM on social media! Is there a convention in your area that you'd love to see me at? Please let me know! I love traveling and checking out new places. Hello, y'all! I just want to say that because I will be very busy in February, I have chosen not to update Slightly Damned during this month. The last page you'll see will be page 900 until updates resume in March. Thank you for your patience and understanding! I think I will try to spend time in March making a buffer of Slightly Damned pages so these interruptions are less frequent. Thank you for all the support you've given me over the years. I wouldn't have made it this far without your help! The Slightly Damned books have arrived at the Hiveworks warehouse, meaning everything will start being shipped out shortly! Please make sure that your address in your surveys is up-to-date and accurate before 1/20! P.S. 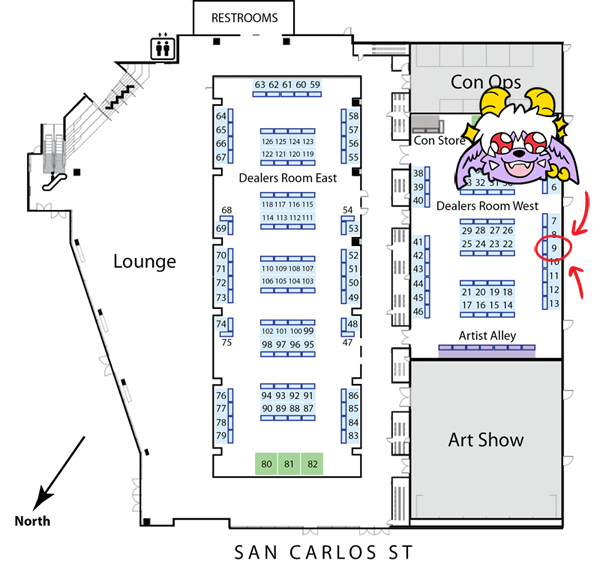 I will be vending at Further Confusion in San Jose, CA this weekend! 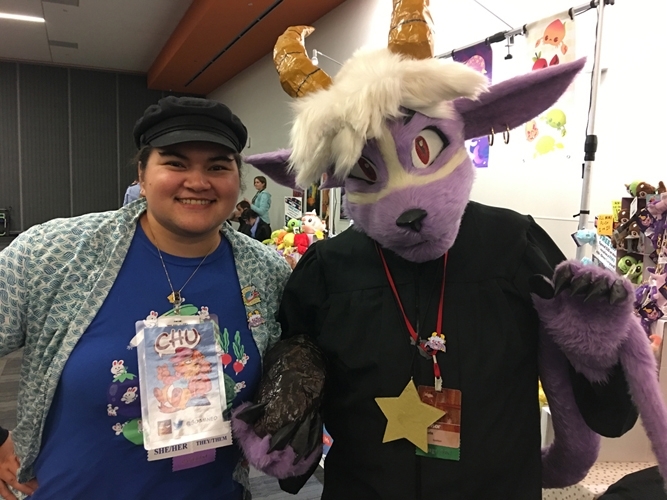 Unfortunately, I don't have any Slightly Damned books with me, but I do have enamel pins and plushies (including Sakido and Iratu)! I will also have copies of The Junk Hyenas Diner as well as animal stickers, pins, and t-shirts. Plus, I'll be offering my usual same day badge commissions. Hope to see you there! Sorry, but Slightly Damned is on a teensy weeny break. I got sick twice this month with two different illnesses, so I lost a lot of work time and am a bit behind. I need some extra time to get things in order. 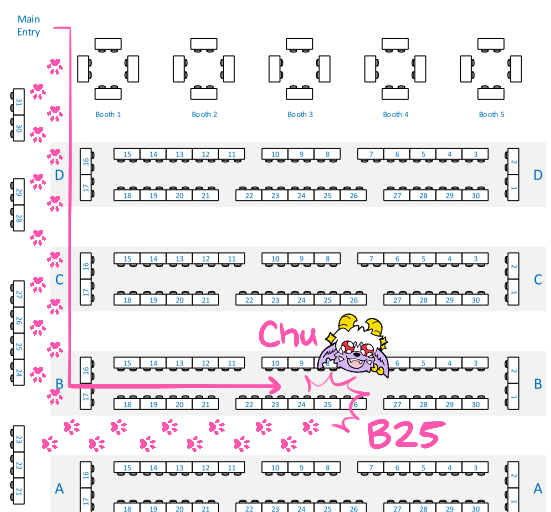 From 11/30 through 12/2 I'll be selling my wares at Midwest Fur Fest in Rosemont, Illinois! On 12/8, a guest comic by Nick Daniel will be posted! He's my friend and the creator of one of my favorite webcomics, Latchkey Kingdom! Also, my other webcomic, The Junk Hyenas Diner, will FINALLY get a 5-page update to conclude the chapter "I Scream Cake!" On 12/15, Slightly Damned will resume updates as normal. Thank you for understanding! Life is often difficult and unpredictable. P.S. If you backed the Slightly Damned: Book One Kickstarter back in August, the PDF of the eBook is now available! Check your inboxes or this update for the download link! The book has been sent off to the printer and the merchandise for rewards are being bought this week. We are still on track for physical rewards being delivered in January 2019! After a year of preparation, my second Kickstarter is now live! This campaign is focused on finally printing physical copies of Slightly Damned!! Please check it out, share, and support it! I've applied to Midwest Fur Fest, Furry Weekend Atlanta, and Further Confusion. I'm also debating on whether or not to renew my table for Phoenix Comic Con/Fan Fest/Fan Fusion. More info as it comes! Slightly Damned will continue to update normally, with one new page every Saturday. Soprano of Time will eventually return as weekly vote incentives until the story concludes, and then regular vote incentives will come back. There will also be 2 monthly wallpapers instead of just 1, with at least one of those being Slightly Damned-related. Art Wednesday illustrations are being discontinued, at least temporarily. Thanks as always for your patience and support! Hey pals! I'm back from my travels and I'm jumping back into work! I don't have any trips or conventions planned until Biggest Little Fur Con and Phoenix Comicon in May. Maybe I'll be able to find the time to balance my life during a calm spring. And maybe I'll be able to balance my work better! On that note, please remember that Slightly Damned is returning to a "one page per Saturday" update schedule. No more bonus pages until I get my project juggling under control. In the meantime, I wanted to remind you that my online store is open again! 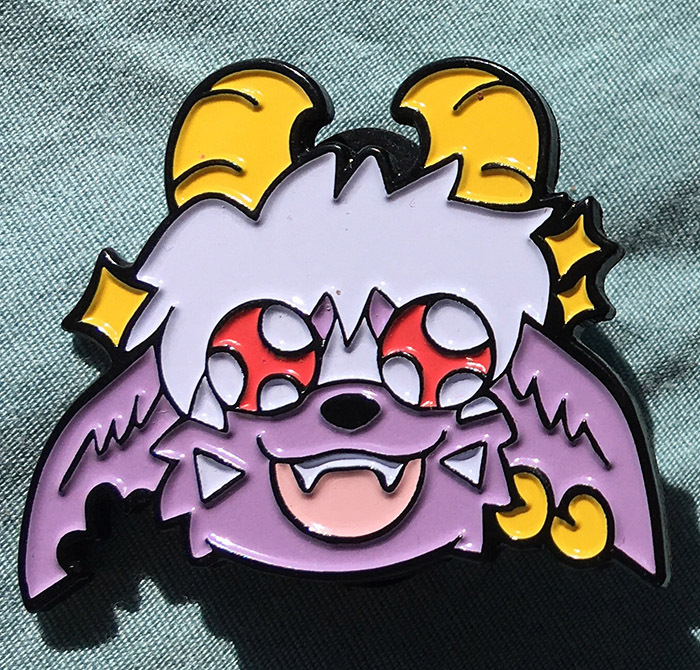 Please check it out for Slightly Damned pins, stickers, plushies, and lots of other goodies! Also, check out this awesome Buwaro fursuit by Newada_Draco (Twitter / FA) at Further Confusion 2018!! It really made my con to be able to see this in person! And I am always incredibly humbled whenever I see that anyone has enjoyed my work enough that it's inspired them to make something of their own in turn. Just... wow! I am ALSO going to be presenting a panel on Monday, the last day of the convention, entitled "Exhibiting at Conventions"! As you can probably tell from the tile, it's aimed towards teaching people how to apply to exhibit at conventions, and what to bring and do once you've gotten a table or booth. It'll be in the Marriott, in the Guadalupe room, on Monday from 1-2:30pm. If you're still around the con and have got nothing better to do, why not drop by? I'm told I'm a pretty good public speaker! ...and then I have to drive hundreds of miles to get back home, so, uh... Slightly Damned updates will be a bit late this month. I don't think I'll have anything ready for January 13, or even the 20th, depending on when I make it back. Sorry about that. At least I won't have any other major trips or events to distract me, so I think I'll be able to make up the missed pages. I hope by February I won't have any other work to make up so I can finally implement my plan for better balance in my life. Phew. You can find me exhibiting at Midwest Fur Fest in Rosemont, IL this weekend! I'll be selling plenty of prints, stickers, and plushies, as well as copies of The Junk Hyenas Diner: Volume One and same-day commissions!